I feel privileged to have been one of the few to have been able to view ?Kubrick, Nixon und der Mann im Mond? (?The Dark Side of the Moon? when it is released outside Old Europe), a remarkable documentary by the eminent filmmaker William Karel. A native of Israel, Karel has distinguished himself in Europe with documentaries about the Holocaust and the Israeli-Palestinian conflict. It chronicles the story of the lens used by Stanley Kubrick for ?Barry Lyndon? (1975) -- a film I consider to be one of the great masterpieces of world cinema -- a one-of-a kind piece of technical perfection that the narrator asserts NASA allowed Kubrick to borrow for the exquisite scenes filmed in total candlelight. A still from the film, showing Murray Melvin and Marisa Berenson in the extraordinary shading created by a candlelit shoot, illustrates the stunning effect of the Zeiss lens. The story then relates the history of Kubrick and NASA. In 1969, beset by the Vietnam war and rising public fury over the conflict, President Richard Nixon was making preparations for the participation he would have in the television broadcasts associated with the flight of Apollo 11 and the moon landing. According to the narration, he even pre-recorded a tribute to the astronauts in the event of their deaths in space. What is astounding, however, is the story of the ?back-up? film alleged to have been made in anticipation of the failure of the cameras on the moon. The present United States Defence Secretary, Donald Rumsfeld, who in 1969 was on Nixon?s staff and Dr Henry Kissinger tell the documentary?s interviewer that they advised President Nixon on matters of this weight. The narrator asserts that a decision was then made by Nixon to commission Stanley Kubrick to make the back-up film and that Rumsfeld and Kissinger flew to London that very night to talk it through with Kubrick. Compelling footage of a young Rumsfeld and Nixon illustrate the story. Former Nixon advisers Lawrence Eagleburger, Alexander Haig, Kissinger and Richard Helms (former CIA Director) are interviewed and it is mooted that the film was indeed made at the President?s behest; Kubrick even reluctantly supervised the ?CIA amateurs? who put it together. The narrator even asserts that Rumsfeld and the other Presidential advisors assured him that he would never hear from the Nixon staff again. The provision of the NASA lens for ?Barry Lyndon? was for all intents and purposes a gesture of thanks. The rest of the story, however, and the manner in which Karel extracts a narrative from Rumsfeld, the great master?s widow Christiane Kubrick, her brother Jan Harlan and the others (the late ex-CIA supreme Vernon Walters is a priceless gem) is even more astonishing. Evidently Karel wanted to convey to the world the power governments can have over the public?s perception of a world-shattering event, even to the extent of ?faking? a moon landing to placate ?the people.? 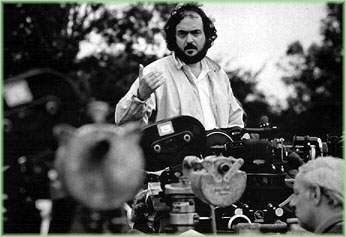 The film also emphasises what was perceived as a curious change in Kubrick?s demeanour in the years following the ?fake landing? project: according to the script he became more and more reclusive and suffered an untimely death in 1999 from a sudden illness. It is common knowledge that he assiduously avoided travel to the United States and kept virtually exclusively to his British country home in the ensuing years. I will stop there : telling the rest will spoil it for viewers. The film is superbly constructed and is a masterpiece of editing. Full marks must go to Tal Zana, the Editor. At the very end a post- ?cast list? caption appears : ?No goy was mistreated during the filming of this documentary.? Having lived in Israel and Old Europe, one hopes this brand of humour will be taken, to use Christiane Kubrick's words, 'in good fun' by North American audiences. ?Kubrick, Nixon und der Mann im Mond? has been packing them in across Old Europe where screenings have been held, and will soon be shown as ?The Dark Side of the Moon? on UK television. A US release is not yet confirmed but considering the high profile of Donald Rumsfeld it should be a candidate for high ratings.